Eco Cleaning Services, Inc. is focused on providing high-quality service and customer satisfaction – we will do everything we can to meet, and exceed your expectations. In modern large scale businesses, cleanliness goes far beyond the office, the lavatories, the kitchens – it extends right into the company warehouse. A dirty warehouse not only affects those inside the warehouse but can also adversely affect the air quality of those working in adjacent offices. Today, a clean warehouse is a necessary part of good business practice. 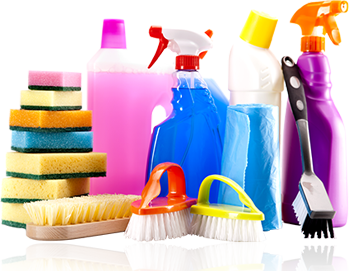 As one of the most trusted warehouse cleaning companies in Toronto, Eco Cleaning Services, Inc. understands the unique cleaning needs of warehouses. Initial warehouse cleanups and subsequent routine maintenance present a set of challenges vastly different from those found in office or retail environments. The most obvious- large square footage and high ceilings- are just two of several. Dirt embedded concrete, rafters full of caked dust, forklift tracks – all diminish the look of the facility but more importantly, make for an unhealthy work environment. Our Warehouse/Industrial cleaning service and commercial pressure washing services will improve your warehouses sidewalks, loading docks and much more. We pride ourselves in our ability to work safely in environments where risk is a factor and special care is necessary. No matter whether it’s a small storage warehouse or a large utility facility, Eco Cleaning Services, Inc. will help you keep things running smoothly and efficiently by ensuring a clean environment.